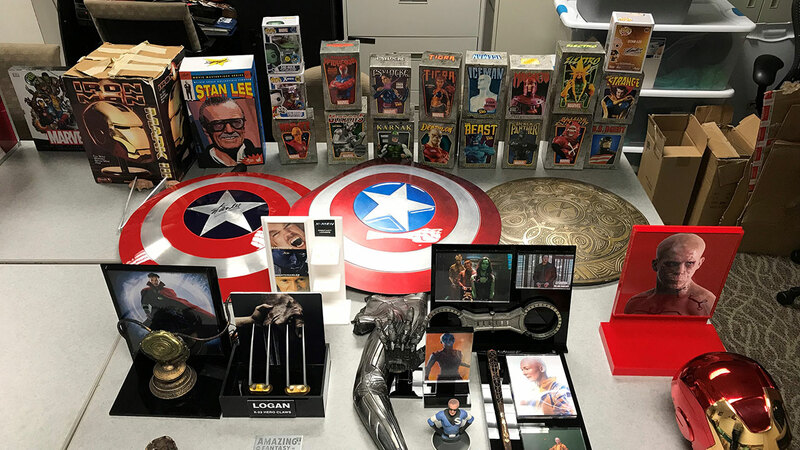 RANCHO CUCAMONGA, Calif. (KABC) -- Deputies recovered $1.4 million in stolen Marvel collectibles from a storage facility in Colton and arrested two suspects in the theft. The original theft was discovered after the victim learned some of his collection - including props used in Marvel movies - was for sale on the internet. He had kept his collection in a Rancho Cucamonga storage unit. Police were led to suspect Ian Florez, 35, of San Bernardino, after they say he provided his contact information to potential buyers of the items. San Bernardino County sheriff's deputies arrested Florez on Feb. 24. He had also been wanted on additional warrants. Police say they identified a second suspect, Matthew Rinke, 37, of San Bernardino and arrested him on March 7. They found $1.4 million of the victim's stolen property at a storage unit in Colton. Those with more information in the investigation are encouraged to call the Rancho Cucamonga Police Department, and can remain anonymous by calling the We-tip Hotline at 1-800-78-CRIME (27463). Information can also be left www.wetip.com.